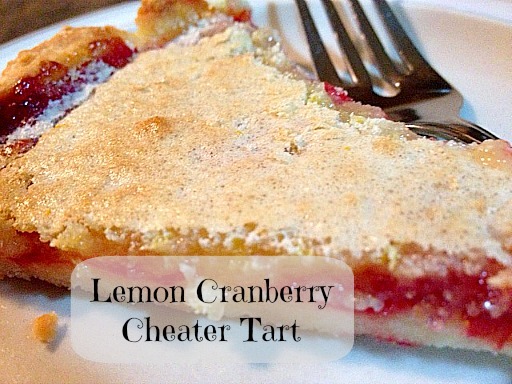 This amazingly delicious tart is easy to make and tastes like you worked all day! I call is a cheater tart because you make the dough and pat it into the tart pan instead of rolling and then laying it in. It is easy and no one will ever know! 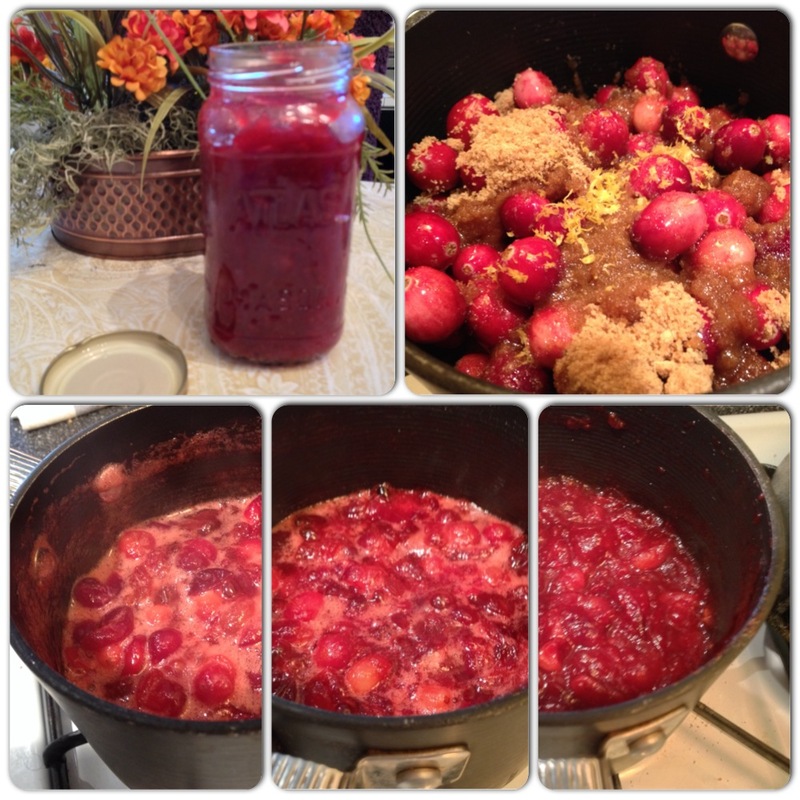 I made this for Canadian Thanksgiving (2nd Monday in October) and it was delicious and very festive with the cranberry sauce filling. You can always make it without the cranberry sauce for a plain lemon tart or you can make it in a square pan and cut it into squares. Mix powdered sugar, flour and salt. Cut the butter into the mixture, add water a few drops at a time, just until the dough comes together. Pat into a 9″ tart pan making sure the dough goes up the sides and is fairly even throughout. Prick with a fork to release steam under the dough. Meanwhile, mix the beaten eggs, sugar, lemon juice, flour and lemon zest. 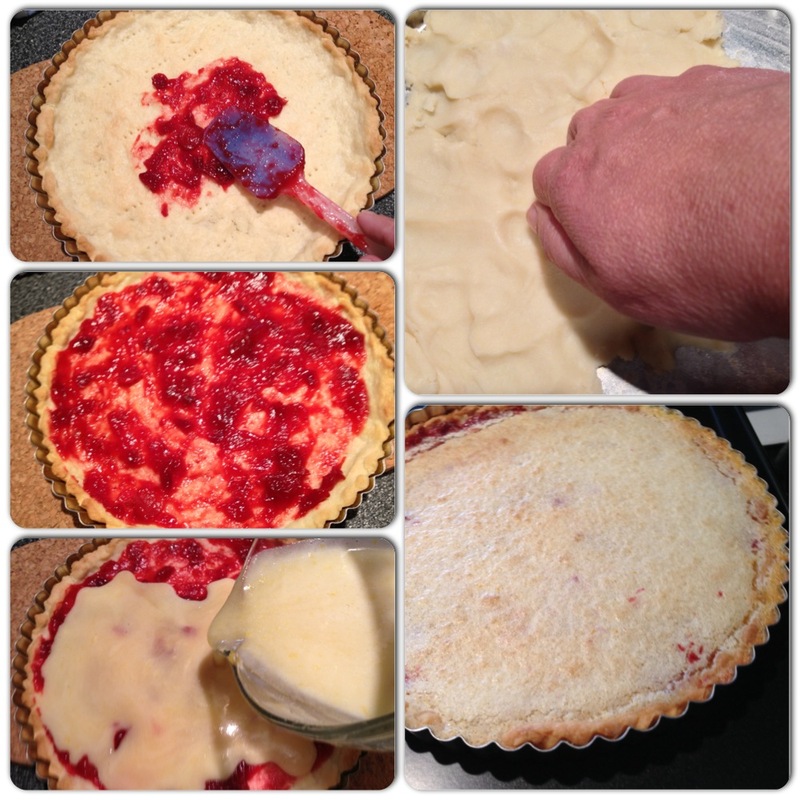 Remove crust from oven, thinly spread the cranberry sauce over the crust and pour lemon mixture over it. Bake at 350 degrees for another 20 minutes. This desert will last several days at room temperature if stored in a cool spot in an airtight container. Combine the cranberries, sugar, water and lemon zest in a small pan, cook over medium low heat until the cranberries burst and the contents of the pan look like they have reduced by about half (see image below). Smash the cranberries with a wooden spoon. Add the brandy, if using, and cook one minute more. Cool before serving or using. Magda’s Frugal Tip: For a special gift for a loved one, give a gift certificate for a homemade “gourmet food club”. For my husband’s birthday I will be making homemade croissants and will give him a gift certificate for a bimonthly croissant club. Every two months for the next year, I will bake up a special batch of croissants especially for him. You can do this with any food that is a bit special, difficult to make, expensive or fattening (croissants are most of these with a pound and a quarter of gourmet butter for a single batch). It is a great gift, usually appreciated by the recipient. The recipient has something to look forward to all year. It spreads the cost of the gift over a whole year and it doesn’t add to the clutter problems of the recipient. It is a win/win proposition for me!